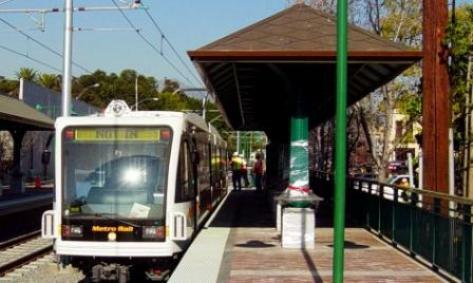 A Goldline station which is anticipated to extend into and service the Ontario region. The transportation system serving Ontario, which includes three freeways, three rail mainlines and an international airport, provides our city with unparalleled regional access and is a primary reason for our tremendous potential. However, regional transportation forecasts project more congested freeways and local streets, which could limit economic development and affect quality of life. To maximize our potential and achieve our Vision, the City needs to be an active participant and leader in identifying and developing solutions to these issues through cooperative regional and subregional planning efforts. Traditional solutions won’t be enough to solve projected future regional traffic congestion and new approaches may be needed. The City should take a leadership role at the federal, state, regional and subregional levels to pursue the most promising strategies. A proactive leadership role to help identify and facilitate implementation of strategies that address regional transportation challenges. Regional Leadership. We maintain a leadership role to help identify and implement potential solutions to long-term regional transportation problems. Land Use Compatibility with Regional Transportation Facilities. We work with LAWA, railroads, Caltrans, SANBAG, and other transportation agencies to minimize impacts.